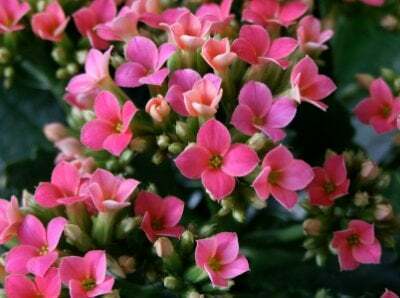 Kalanchoe plant is a winter houseplant that grows to be only about a foot tall. It begins its growth right in the middle of the dreary winter season. Out of the pot shoots sturdy dark green stems with bursts of bright colored blossoms. Upon each stem grows many tiny clusters of flowers in yellow, red or orange. The leaves that grow along with the bright gorgeous flowers are a dark velvety green. They are almost perfectly oval shaped with scalloped edges. The way the colors of the Kalanchoe flower pop from the deep green of the leaves is really beautiful. This plant really does brighten up the dank winter season. 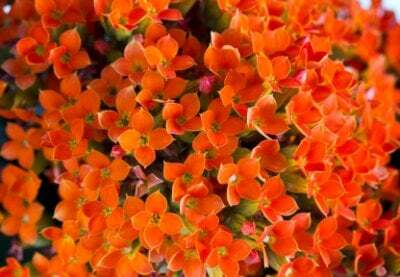 For the Kalanchoe plant to grow at its best, plant it in a pot with an all-purpose soil. Place it in a window that gets the most sun. They love lots of sun during the day and a little bit of a cooler temperature at night. Give the Kalanchoe flower water only when the soil begins to dry out. Touch the soil before each watering cycle and see what it feels like. If the soil feels dry, water it. If the soil still feels moist or damp then wait until it dries a little bit. Feed your Kalanchoe flower every other week with a liquid fertilizer to keep it growing into the warmer spring months. Sometimes, if you do it right, you can make it so that your plant will grow back the next year. Towards the middle of fall, stop watering your plant. Let it go dormant, but water it just enough so that you are not hurting the leaves. After you let the plant remain dormant for a few weeks, begin to water it regularly again. You can leave the plant in the sunlight during the day. At night time, place your plant in a dark place. Do this for about a month and then the flower can go back to spending its time on the window sill. This is a very tedious process. You may decide that if you really like this plant, to just buy new plants each year.